You are no longer limited to only one choice when it comes down to filling cavities, but due to amazing advancements in technology, you have several. Out of the many choices you have, the two most chosen choices are composite fillings and dental amalgam. The major difference between the two types of fillings is in the color. Composite fillings are made from materials matching the color of your teeth whereas amalgam fillings are made from metal. Even though composite fillings are a more advanced version of traditional fillings such as dental amalgam, sometimes, traditional fillings triumph over its successor. The traditional fillings offer increased protection in extreme circumstances where chewing can lead to tooth damage. Only a dentist can tell you which type of filling is appropriate for you. Still, it is essential for you to know the difference between the two. 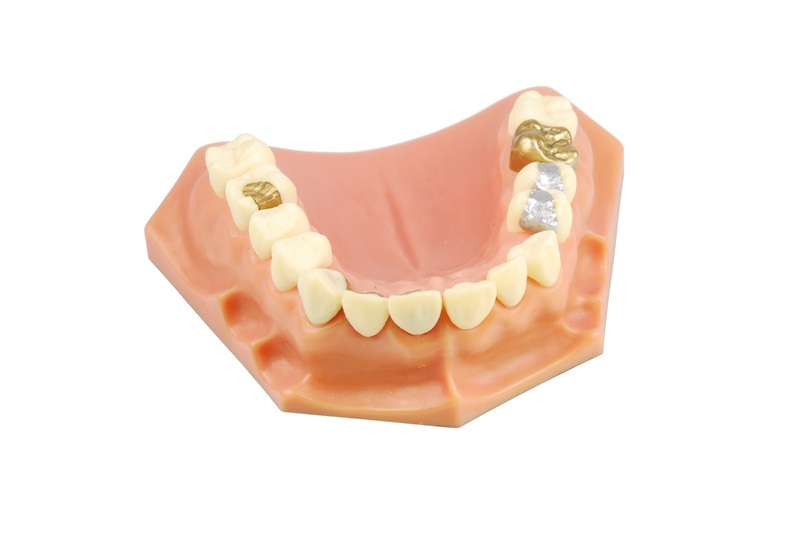 Composite fillings also referred to as resin composite fillings are made using plastic and ceramic compounds. In the beginning, dentists were not able to use composite fillings in the back of the mouth, as the resin compounds were not strong enough to handle chewing and grinding. Since they were the same shade as a person’s teeth, dentists used them in the front teeth, but that was a long time ago. Now, dentists are able to use composite fillings in the back of the mouth, but some dentists do not choose to for few reasons. Some dental plans do not cover composite fillings, unless they are used in the front teeth to restore a person’s smile. Other reasons dentists choose to forgo this advanced method is that even with the advancement, they do not last a long time and can wear out easily due to chewing and grinding. Hence, dentists choose to go with the older and tested option of dental amalgam fillings. What is Dental Amalgam Fillings? In comparison to its successor, dental amalgam have shown to withstand the test of time, as they can last up to eight to ten years, and sometimes, even more. By far, they are the best option to fill cavities located in the back of the mouth, as the area is constantly getting wet. Other factors that make dental amalgam a great choice; it is cost-effective and easy to maintain. The only disadvantage that people see is its color. The color of the dental amalgam is silver and is visible when someone talks or opens their mouth. Still, most people go with this option, as it costs less, their dental plan covers it, and they do not have to worry about going to the dentist in one to two years to get the cavity filled in again, which is a relief. Your choice comes down to the location of the cavity. If the cavity is located at the back of the mouth, choose dental amalgam. In fact, your dentist will recommend you choose that in the first place. If the cavity is in the front teeth, choose composite fillings, as you do not want silver teeth. In the end, your dentist and you will decide together on the option that is best for you. If you need our dentists to fill in a cavity, request a dental appointment by contacting Spring Cypress Dental.